1) I find myself falling out of playing video games. They don’t interest me as much as they use to and I don’t use my Playstation 4 anymore. I’m thinking about selling it. 2) I complain about being busy all the time, but I secretly enjoy it. I love having something to do all the time. When I’m not doing something, I feel off. 3) I haven’t drank soda in a long time so I’ve completely lost the taste for it. 1) What’s the one tripe/cliché you can’t stand. Lately, it’s been anything related to the harem genre, but if I had to pick one it’s one normal guy attracts these super hot ladies for no reason. 2) Would you rather live the rest of your life without sweet food or meat products. Definitely sweet food. I’ve gone through large chunks of time without eating sweets (months), but I can’t live without my daily dose of meat. 3) What genre would your life be? My life would be something like March comes in like a Lion, so Slice of Life/Drama I suppose. Tea. I can’t stand the taste of the blandness known as coffee. 5) What’s your favorite food that isn’t native to your country? Is anything native to the United States? I don’t think so? Anyway, my favorite food is Macaroni and Cheese. I can’t live without the stuff. Just so wonderful in all the right ways for me. 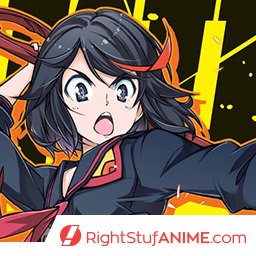 1) What anime series has your favorite soundtrack? 2) If you were forced into shape shifting into an animal, what would you choose? 3) What do you do for fun besides watching anime? 4) How has your blogging experience gone so far? 5) What is your unique blogging style? 1) Kill La Kill has a lot of awesome music. 2) A butterfly. No one ever suspects the butterfly. Muwahaha. 3) Video games. Unlike you I still love my PS4. 4) I’m not very successful in terms of followers but I enjoy interacting with my readers. 5) I’m not unique at all. My style is to sprinkle in some jokes and try to be concise. I love my PS4, I just don’t have any time to use it.